Asus has started rolling out the Android 8.1 Oreo to Zenfone 3 Max ZC553KL. This update brings Zen U.I 5.0 and brings the version number to V15.0200.1807.406. The update is 1.5GB storage. The update brings tons of new features to the Zen U.I and to the interface like swipe up to access installed apps, picture-in-Picture mode, new Settings app, launcher. Asus is also removing some of the pre-installed apps, however, you can download these apps from PlayStore if you wish to. The company says that post update, internal storage will decrease slightly. More friendly setting UI design. Autofill – With your permission, Autofill remembers your logins to get you into your favorite apps at supersonic speed. Smart text selection – Android Oreo recognizes text when you tap or select, then recommends a next logical step via a suggested app. Notification Dots – Press the notification dots to quickly see what’s new, and easily clear them by swiping away. Android Instant Apps – Use new apps right from your browser, no installation needed. Install unknown apps – Hostile downloader apps can’t operate without permission; users now permit the installation of APKs per-source. Asus says that the update might take about one week for wide-roll out. In case if you haven’t received the update prompt, you can manually check the system settings. 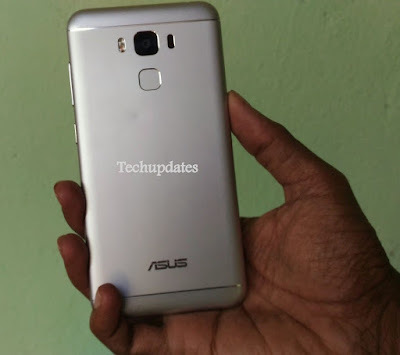 Asus Zenfone 3 Max ‏ feature a 5.5-inch Full HD Display powered by an Octa-Core Snapdragon 430 processor. It has a 3GB of RAM and 32GB of internal storage which is further expandable up to 128GB. On camera, it has a 16MP rear camera and 8MP front camera. Packed by a 4100mAh Battery.